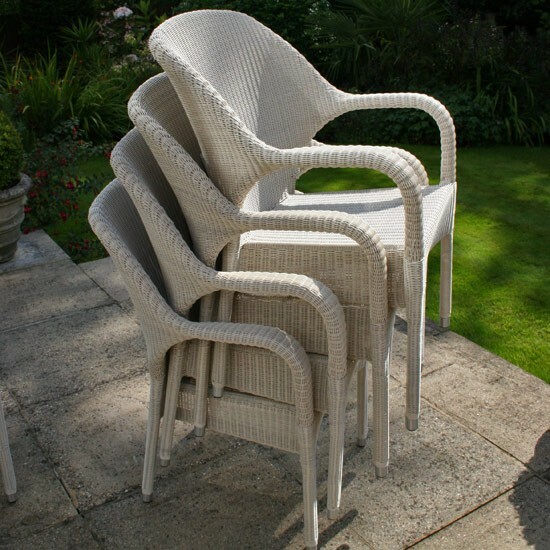 The Sussex stackable armchair is a strong elegant chair that is flexible and easy to use as an outdoor chair or is equally at home anywhere inside the house. 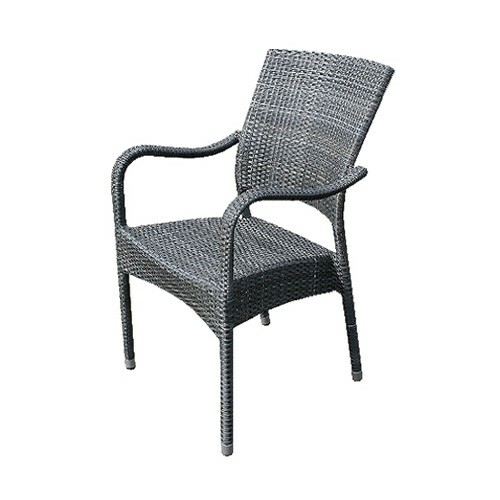 The Sussex stacking armchair conveniently stacks when not in use and is particularly suitable for use in hotels, restaurants and clubs. 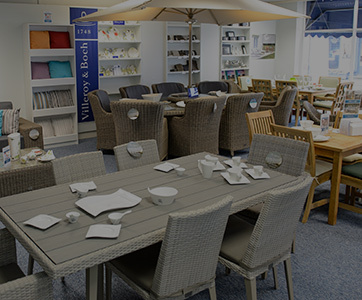 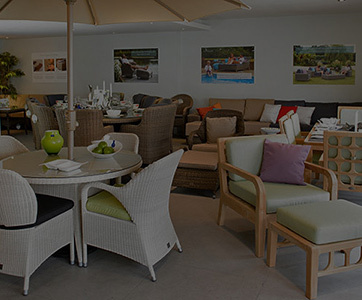 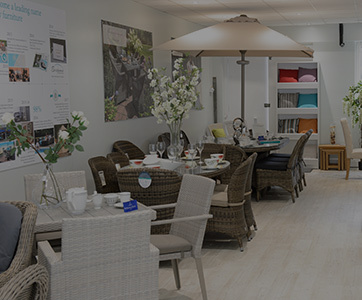 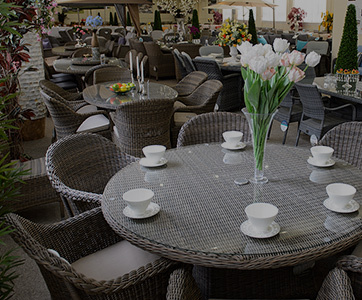 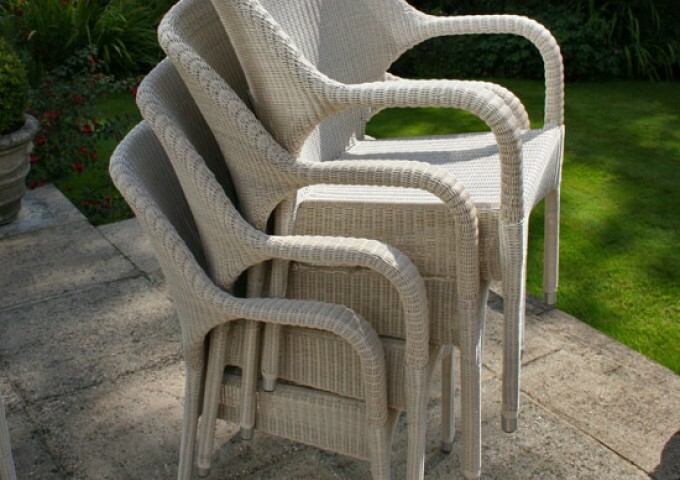 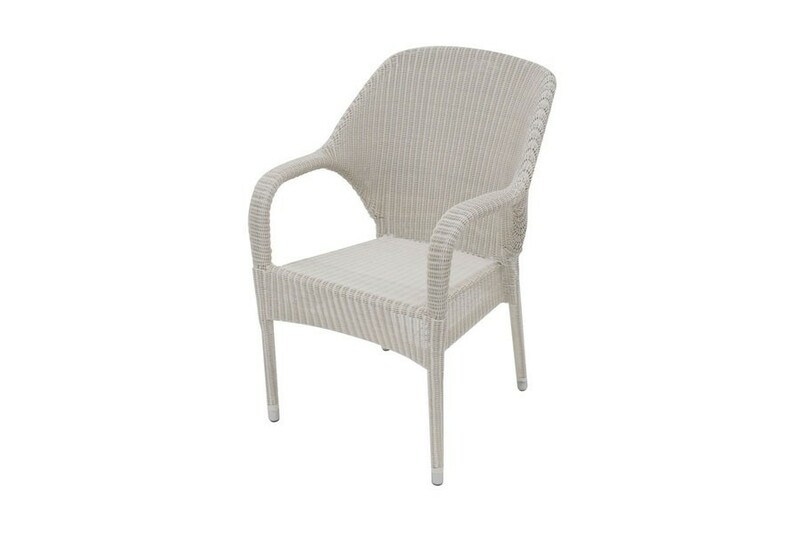 Manufactured with a durable soft white rattan weave and sturdy aluminium frames, the chair is fully weather resistant and can be used outdoors all year round. 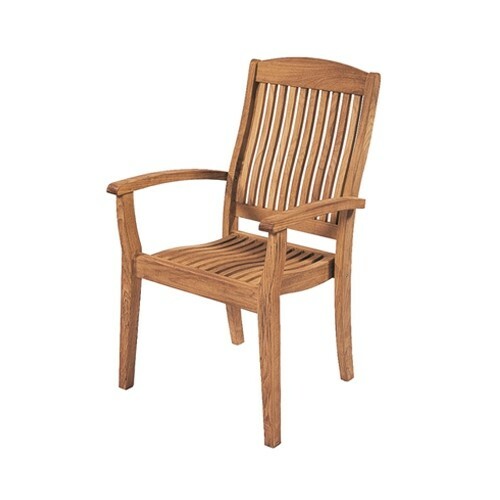 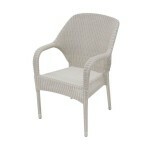 The ergonomic shaping makes the chair comfortable and easy to use without the need for a cushion. 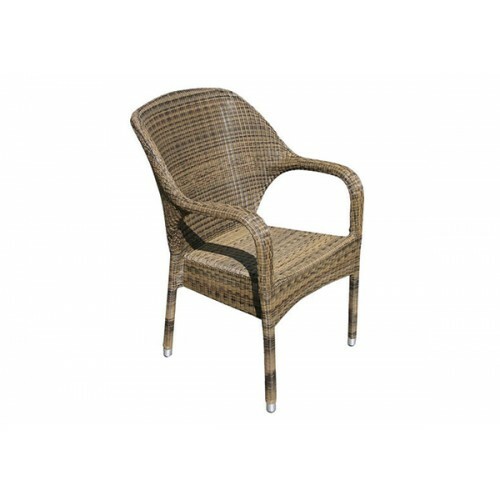 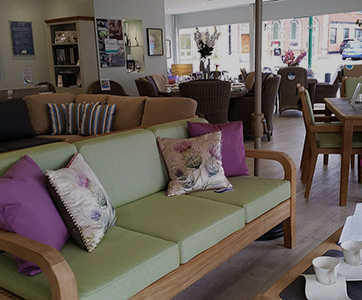 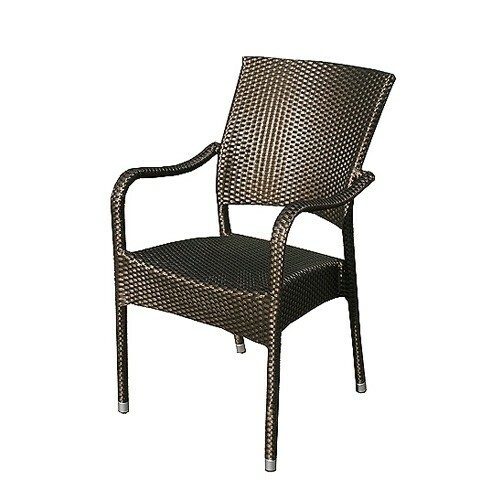 If extra comfort is required a cushion is available to fit this chair in a choice of standard black or lime green fabrics to compliment the elegant soft white rattan weave. 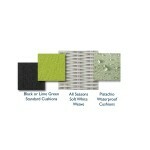 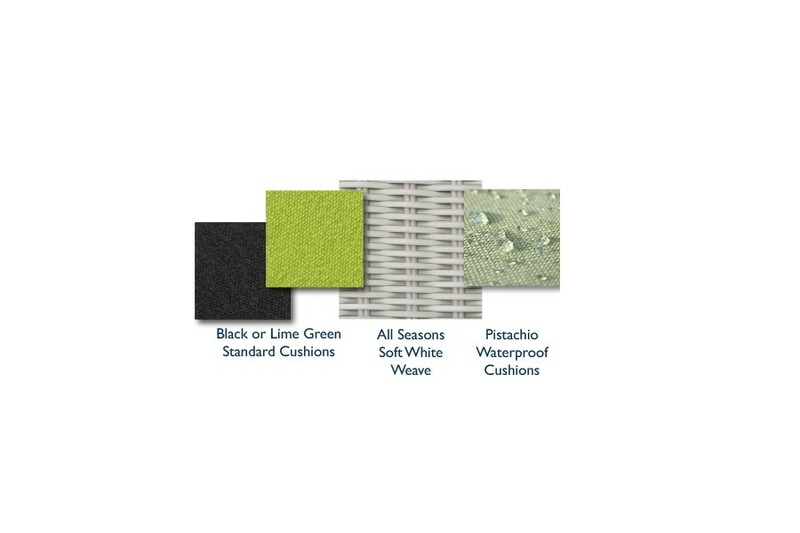 Alternatively, upgrade to fully waterproof pistachio cushions that can remain outside in wet weather. 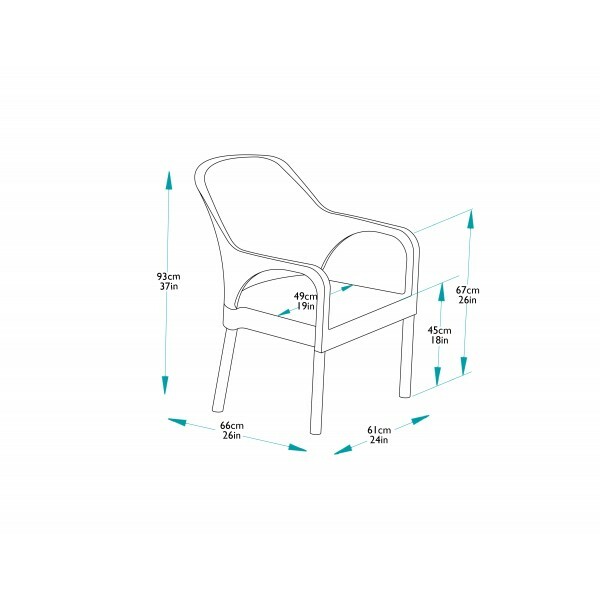 Made to the highest of standards and as part of the Bridgman All Seasons range, this chair comes with Bridgman’s 10 year guarantee.